Alliance’s regional offices have provided turnkey remediation services for over two decades. Since our inception in 1991, Alliance has completed hundreds of assessment and remediation projects varying in size and complexity. This experience allows us to efficiently pursue our customer’s project goals every step of the way and exemplify our reputation for cost-effective site closure. Our team of environmental professionals will help you determine the right remedial approach and an effective solution for your unique set of circumstances. Our remediation specialists have a combined 90+ years of experience and work side-by-side with staff hydrogeologists and project managers to evaluate site conditions and specific project needs. Selected remediation technologies focus on practical solutions, using both innovative and traditional approaches. 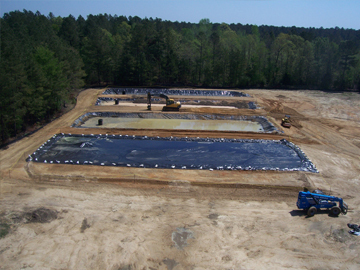 Our team navigates regulatory, technical, and logistical obstacles to develop site specific remediation strategies, tailored to meet governing regulations while realizing the customer’s goals and financial constraints for the project. Typical remediation solutions include: risk-based closures, dig and haul, metals stabilization, chemical oxidation technologies, dual phase and groundwater extraction and treatment, free product recovery, soil vapor extraction, (aerobic and anaerobic) Bio-Remediation and Air-Sparging. Alliance is fully equipped and staffed to complete the installation and construction of small pilot-scale systems to large full-scale 50+ point systems. Alliance’s technical expertise in the field sets us apart from the rest. Our ability and commitment to self-perform our technical field services assures reliable project management, site safety, quality assurance, and efficiency that gives our clients the best overall value. 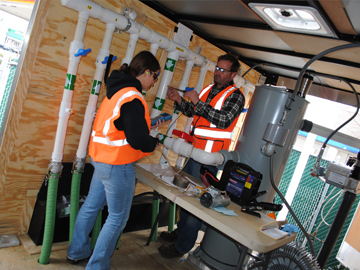 Alliance also owns a fleet of remediation trailers and pilot test systems available for short and long-term rentals. An important step towards Site Closure is the regular operation and maintenance of a site remediation technology. Our highly-trained environmental scientists have a clear understanding of client requirements and strive to exceed site expectations. Each field scientist is provided the appropriate tools and controls to ensure quality service and data collection. Our team focuses on system performance, optimization and ongoing evaluation of the effectiveness of the selected remediation solution. Alliance’s multi-disciplinary field staff works closely with our data team, engineers and project managers to maximize remediation system performance and expedite project closures. Site Closure is the final milestone achieved when the remediation strategy has brought the site soil, surface water, ground water, soil vapor, or air contaminant concentrations to appropriate regulatory levels. Alliance’s project managers have a proven track record and continue to provide industry leading environmental consulting and reporting. Our ultimate goal is to help our clients reach project closure as quickly and as painlessly as possible. © Environmental Alliance, Inc. All Rights Reserved.